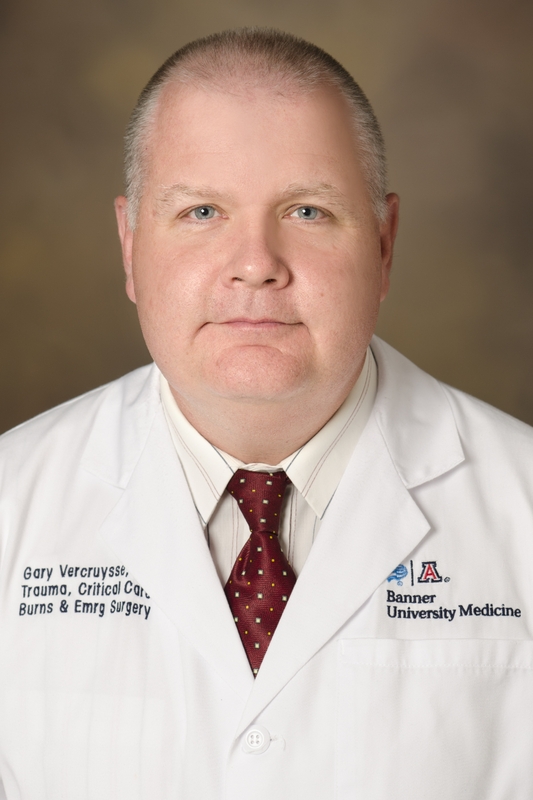 Gary Vercruysse is a burn surgeon at Banner – University Medical Center Tucson. He and his colleagues have been treating burns in Tucson since the summer of 2012 and are now admitting approximately 220 patients a year in addition to 1,700 clinic visits each year. Lately, they have seen an increase in the number of patients with serious injuries caused by exploding e-cigarettes, and published a peer-reviewed paper on the matter. Lo Que Pasa talked with Vercruysse, also an associate professor of surgery, about why he chose medicine as a career, his experience serving as a military surgeon in Iran and Iraq, and how he and his colleagues are readying for the opening of the Banner – University burn center, which Vercruysse will head up. Banner – University Medical Center Tucson will be opening a burn center in 2019. Can you talk more about that? The burn center is a community resource that's here for the people of Tucson. The idea is that patients will be cared for in their community instead of being transported to Phoenix for care. For a number of years, there was a burn center at St. Mary's Hospital. That closed in 2008, and from 2008 to 2012, every burn patient in Tucson had to go to Phoenix. You can imagine if you had a loved one who was burned, and they had to go to Phoenix, you would have to drive to Phoenix to see them, and it becomes a big burden. The idea behind a burn center is that care is delivered in a centralized location where burn patients can heal. The care comes to them rather than them having to go all over. Patients stay in one place in the hospital, and a nutritionist will come see them, a physical therapist will come see them, and an occupational therapist will come see them. They can get psychological counseling, too. It's much like a cancer center or trauma center, but it's designed around the burn patient. You served as a trauma surgeon in both Iran and Iraq. How did that come to pass? I was a surgeon at Atlanta's Grady Memorial Hospital in 2007 when the U.S. had a two-front war going on. 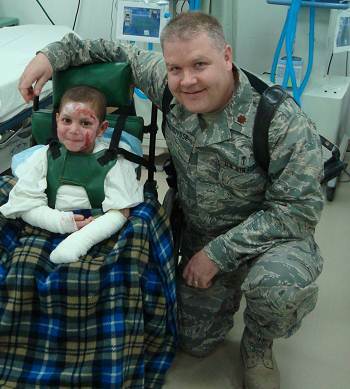 I felt guilty because I was a trauma surgeon, but I wasn't in the military. So, I volunteered and joined the Air Force Reserve. I was deployed in 2008 to 2009 to Balad, Iraq. I was the "trauma czar," which is like the chief of surgery here. And then in the summer of 2010, I went to Afghanistan and was the "mentor to the czar" at the Heath Craig Joint Theater Hospital in Bagram, Afghanistan. Both places were quite busy. We took care of Americans and coalition forces, Iraqi soldiers, Afghan police, Iraqi police. And we took care of civilians, and people who used to be called prisoners of war. Now, they're called enemies of peace, which is a euphemism for prisoner of war. It was very important that we took care of people based on the injuries they had and not on where they were from. If there was an American who was injured, an Afghan soldier who was injured, or a member of ISIS who was injured, we would take care of the person who was injured the worst, assuming they could be saved. You have a relatively limited amount of resources, so you triage people on the basis of their injuries. You also treated children while you were serving overseas. What was that like? We had a lot of children who would come in for many reasons. But one of the things that we realized right away was that there was no real burn center in Iraq. There was no medical infrastructure there. There were no supplies, no medicine, oftentimes there was no power, or running water, or X-ray machines, or anything. As a result, there were no burn surgeons in Iraq. We formed a burn team that included an obstetrician, cardiothoracic surgeon, general surgeon, vascular surgeon, neurosurgeon, a whole team of very hard-working nurses, and me. They learned from me, and we took care of all the burn patients who came in. We treated mostly kids and some adults who were burned for a variety of reasons. Most of them were burned from the cooking fires and burns from scalding water. We did our best to take care of all those patients because they couldn't get care elsewhere. You hadn't served in the military before that. Did you attend boot camp? I went for Reserve Commissioned Officer Training for two weeks in Montgomery, Alabama, at Maxwell Air Force Base. You learn how to wear a uniform, and march and take orders. You get a basic class on how to shoot a weapon before you deploy, but your main job is to take care of patients, and fortunately we all already knew how to do that. Did your experience in the service change you in any way? I learned that humans are pretty much the same regardless of where they're from and that war is terrible. People just want to make sure they have enough to eat every day, they want their kids to have a better life than they had, and they want to make sure where they live is safe as it can be. I got a Bachelor of Arts in anthropology and a Bachelor of Science in psychology. During the summers, I used to deliver beer for an Anheuser-Busch distributorship. It was really hard work, which allowed me to understand that education is valuable. I also worked at a psychiatric hospital at night, and I was thinking of doing a Ph.D. in psychology, but I decided to go to medical school because I felt I would have more options after medical school than after graduate school. Initially, I thought I was going to be a psychiatrist, but then I got the full medical school experience, and I really enjoyed surgery. For me the nice thing about surgery is that you have to know a lot about medicine in order to take care of the patients, and you get to do things that make people's lives better almost immediately. And it's like anything else – it's not that hard if you enjoy what you're doing.